Greek opposition leader and likely next Prime Minister Kyriakos Mitsotakis accused Prime Minister Alexis Tsipras of dividing Greeks, after Tsipras said that protesters against the deal to rename Macedonia are “extreme right wing populists”. Mitsotakis and his conservative New Democracy party opposed the agreement and refused to vote for in in the Parliament, and Mitsotakis said that, as future PM, he will not give up Greece’s right to block Macedonia’s accession to the EU, even under the new name. Tsipras again insulted the Greek people. He described the opponents of the Prespa deal as mindless. Tsipras is acting irresponsibily in front of foreign leaders. 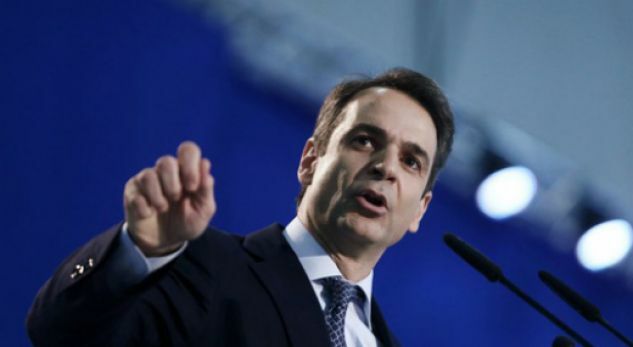 And he has nothing to say about Zoran Zaev, who keeps calling Skopje – Macedonia, said Mitsotakis, pointing out to Zaev’s continued use of Macedonia in online messages and public events. Tsipras made the statement in Cyprus, where he attended the summit of Southern EU countries and spoke with French President Emmanuel Macron. Tsipras did not allow a referendum on the name deal in Greece, where polls consistently showed that a huge majority is opposed to it. On several occasions in the past year, more than 100.000 Greeks protested in Athens against the agreement, and would often attack the police and would be violently pushed back with tear gas and batons.